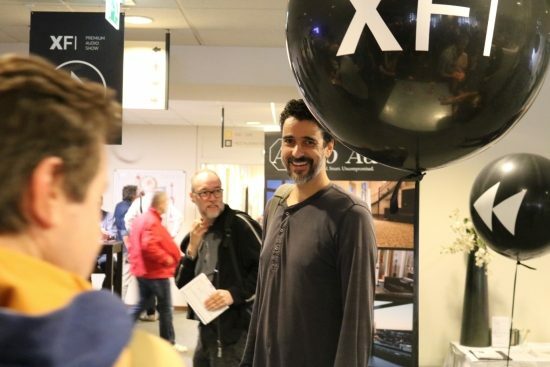 Xfi – Always good fun! I’ll be frank: this time I’ve been a bit lazy… I’ve focused more on having a good time than anything else and only took the occasional photo here and there, making the below more an impression rather than a good showcase of the wealth of equipment that was on display. 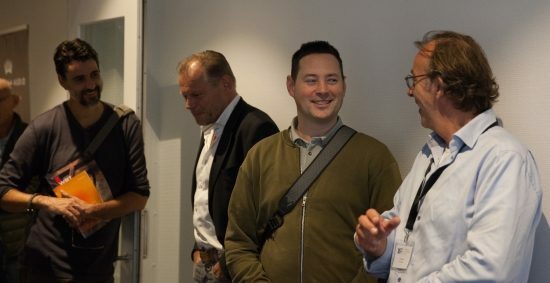 Hey, don’t blame me – you should have attended in person anyway! But fortunately, buddy Niels also brought his camera and he has made a boatload of photos. Pretty much all the closeups on the following pages are his. We arrived before 10:00 and I kind of expected to be one of the first. Ha, not at all! 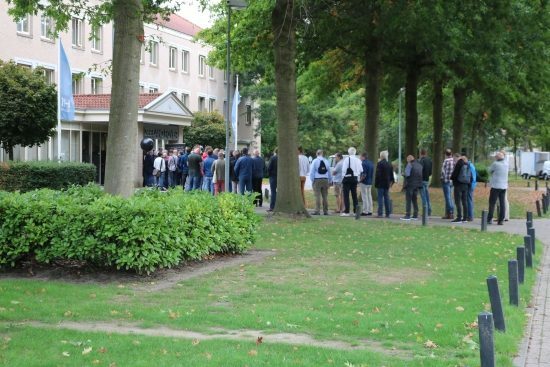 There was quite the queue already! While the weather may look nice, it was actually freezing, well, maybe not actually freezing but it sure was cold. See that look on JW’s face? He’s not happy that the summer is over. 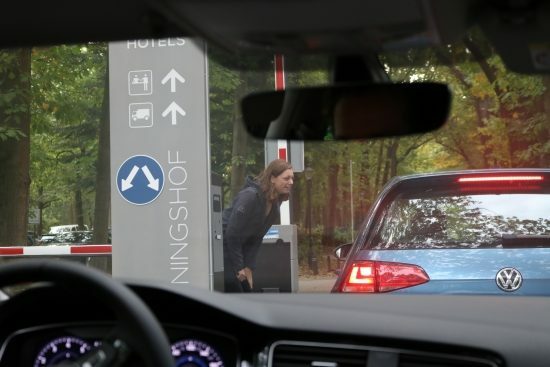 Niels, however, is clearly not at all bothered by this. 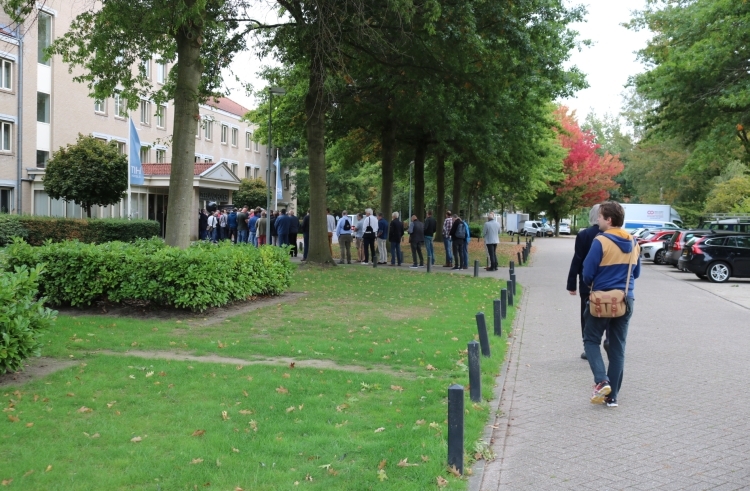 Near the entrance, we were asked to split into two queues: one for people that had already purchased tickets online (the vast majority) and one for people who still had to buy them at the spot. Well, what do you know? 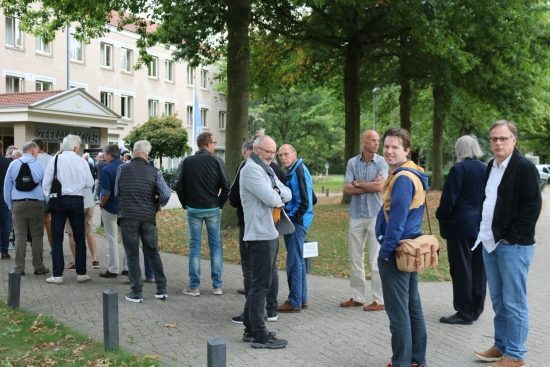 The queue of people that had to buy tickets was done much quicker. Just look at MP laughing while we were still waiting to have our e-tickets scanned! 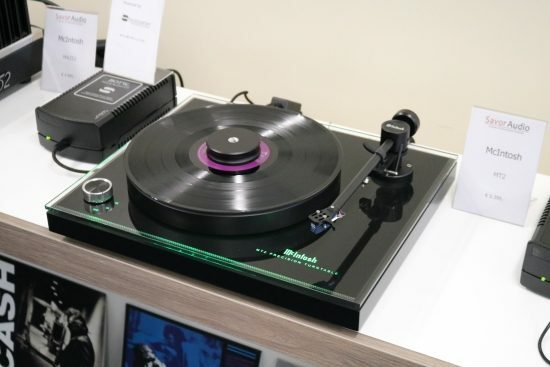 Hey, that’s one nice turntable! 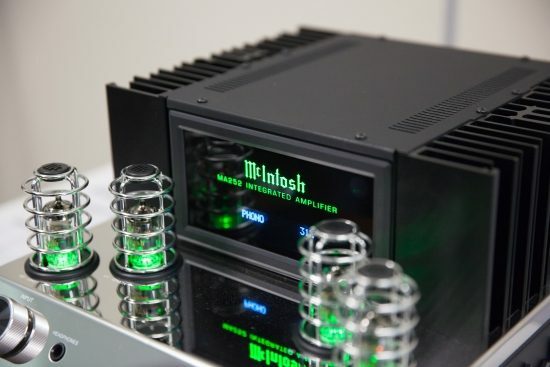 Wait, it’s a McIntosh? I hadn’t recognized it without its fully-lit turntable platter and blue meter! I have to say this one is looking really good! 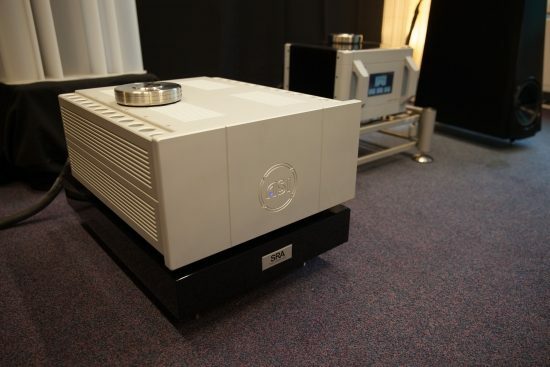 MA252 integrated hybrid amp, courtesy of Niels van Marle close up photography ltd. 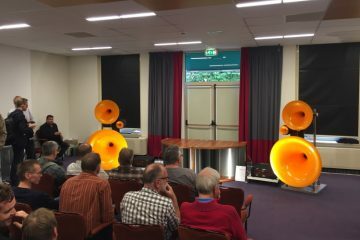 The prime focus in the Savore room seemed to be on Sonus Faber speakers (Sonetto) but JW and I were really hoping that they would also be showing the new Audio Research 160M mono amplifiers. Instead, they only had a couple of older ARC models on static display. A missed opportunity I say! 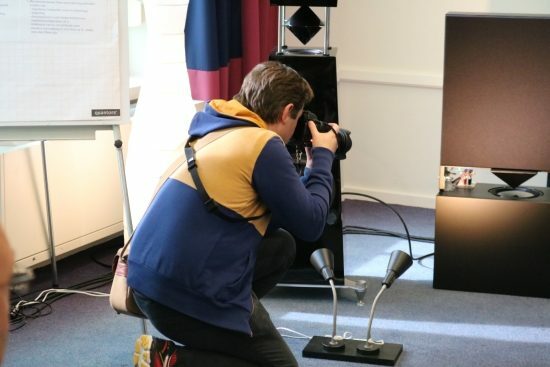 Here’s Niels, photographing a Temporal Coherence speaker. 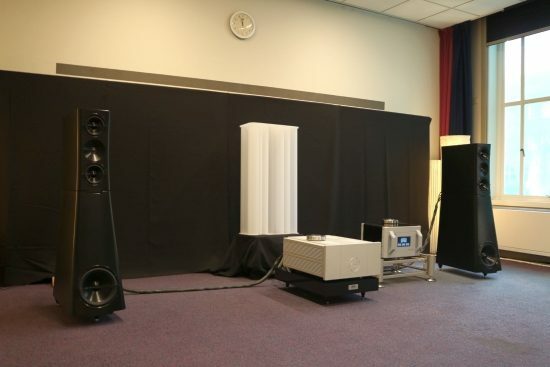 This Dutch company’s Pyramide omnidirectional loudspeakers did indeed produce a spacious sound with a very even-handed frequency balance. Upper treble was open but not quite as airy as it usually is from regular direct-radiating speakers. 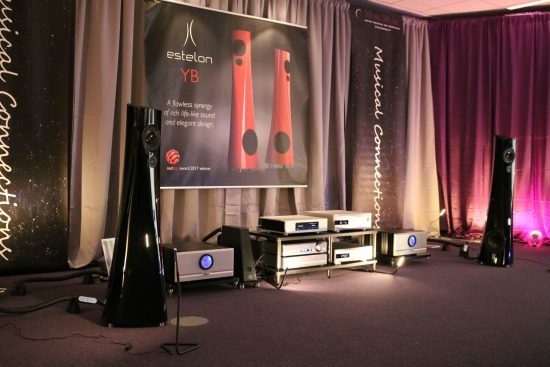 One of the best sounding systems of the show: More Music showing the beautiful Estelon YB (not to be confused with YG Acoustics) with Aurender W20 music server, dCS Vivaldi DAC 2.0, Pass XP-22 preamp and Pass XA-100.8 mono power amps. Power fitration was courtesy of Shunyata Denali 6000T & 2000T, power cables were Shunyata Sigma NR, speaker cables were Shunyata Sigma, interlinks were Shunyata Sigma and digital cables were also Shunyata Sigma. The rack was a Bassocontinuo Cymbalon 2.0. 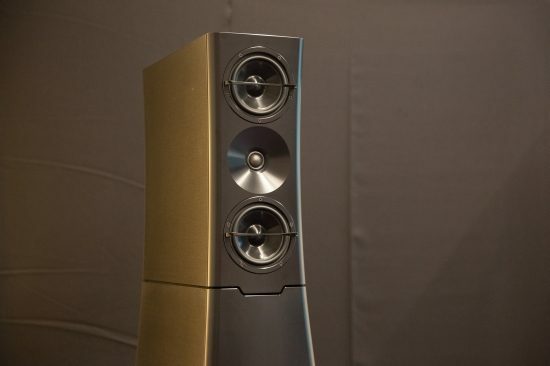 The sound of this system was fast, dynamic, transparent yet smooth, rich and full-bodied. Especially the deep bass was impressive in its evenness: no boom and no boxiness at all. This time, again, I missed the predefined listening slots in the B&W room but I did catch the 803’s playing with the Luxman 507uX. The sound was surprisingly smooth, given the B&W’s currently inherently very clean sound, somewhat reminiscent of the Magico sound. 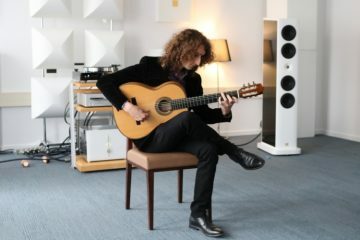 Another great sounding room, courtesy of Aspera Audio: YG Acoustics Sonja 2.2, ASI “Grand Stereo” amp (by Franck Tchang of Acoustic System International), Wadax Ultimate preamp and power source, PS Audio DirectStream DAC and DirectStream Memory Player as source, PS Audio P12 – P15 and P20 power conditioning on SRA ampstand with PS Audio AC12 power cables and all other equipment on Artesania Exoteryc racks. 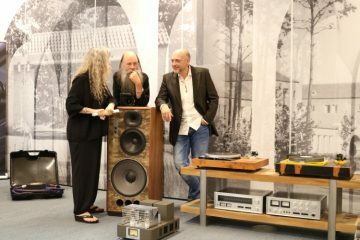 The sound of this system was very pure, convincing and lifelike. Not at all boomy and also not too clean but just right. 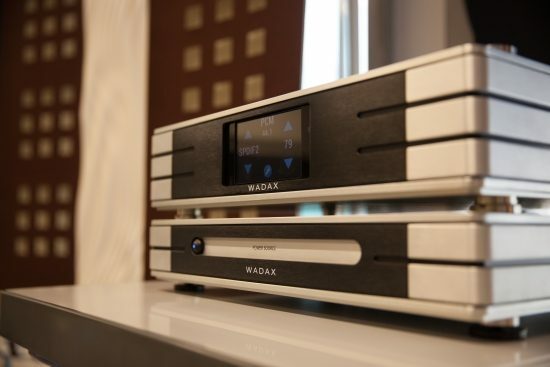 Wadax Pre1 preamp and power source. It seems that many great things come from Spain! Sonja sure is a very pretty speaker. While the drivers look pretty regular, the cones are actually milled from solid blocks of aluminum! 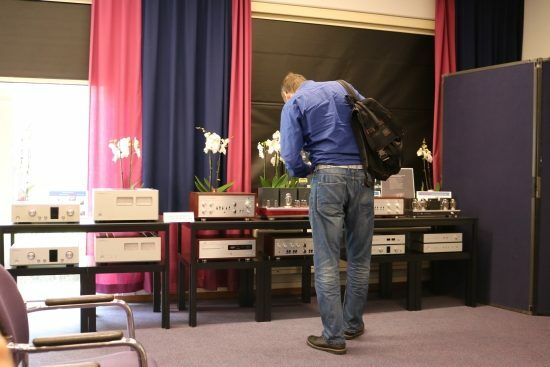 “It really is the Artesania racks that make the sound”, Guy told me jokingly. Or was he serious? 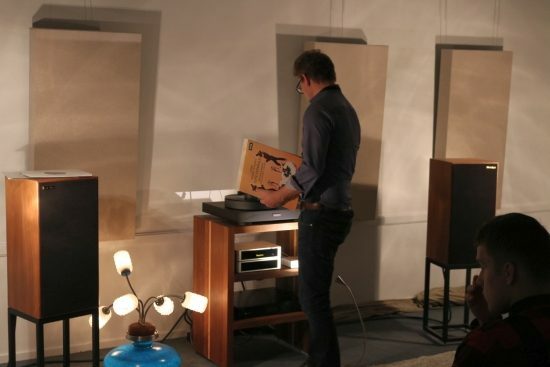 Garmt of AudioIngang, queuing a record on the Bergmann Magne turntable. The latter is very interesting with its air-bearing platter and air-pressure linear tracking tonearm, complete for 10k Euro. 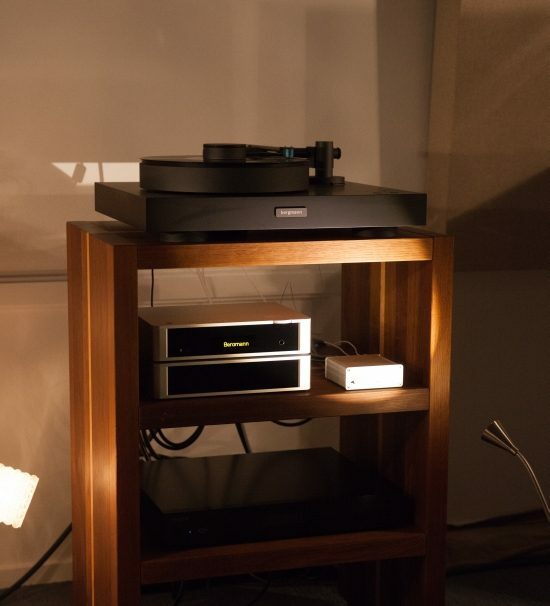 Yes, that’s not pocket change but I can name a few tonearms that cost as much, or more, without a turntable and these are not air-bearing linear tracking types either. 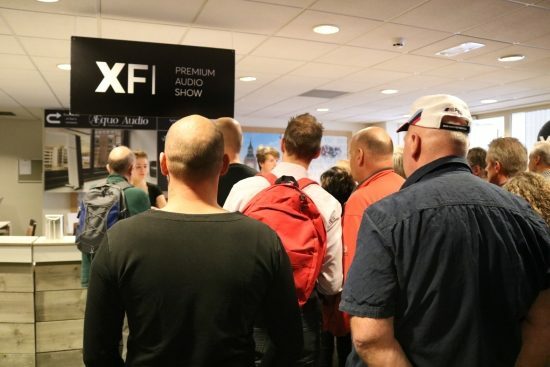 The system, using Harbeth SHL5 Plus speakers produced a smooth yet transparent sound. 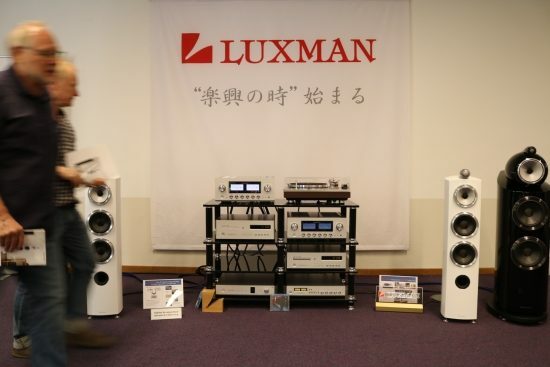 Amplification was courtesy of Lindemann Audio. This cute “Musicbook” pair looks like lifestyle products but Garmt assured us that they are of audiophile quality. 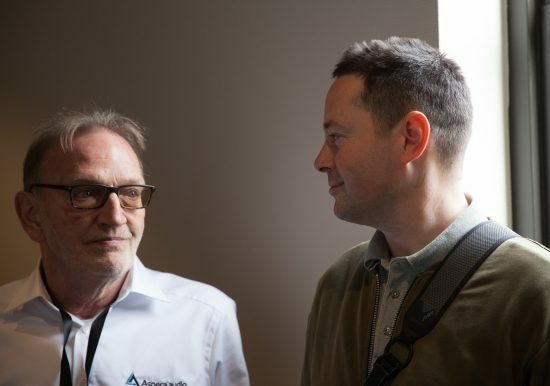 That’s MP, Meneer Buis (Jan Cramer), me and Olaf Oosterlee of Audio Ingang.